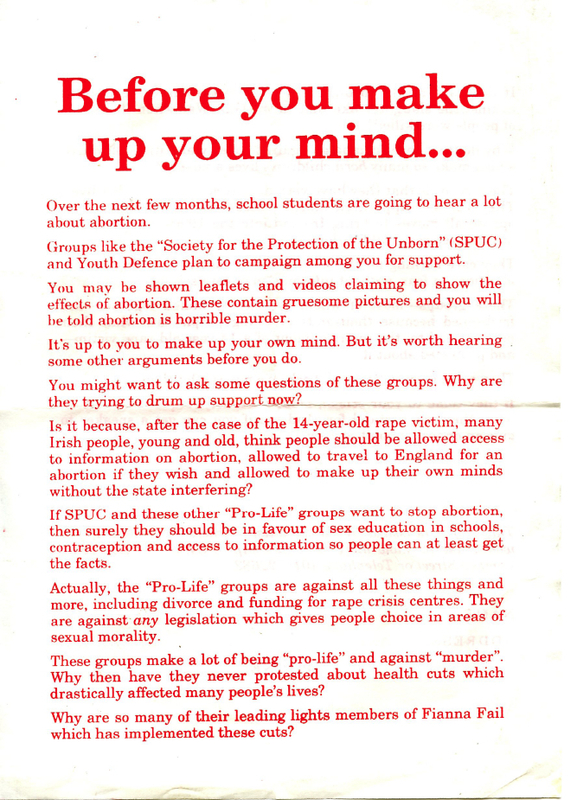 From 1992 , in the aftermath of the X-Case a leaflet on Abortion from The Socialist Workers Movement intended for Secondary school students. The leaflet was never distributed. 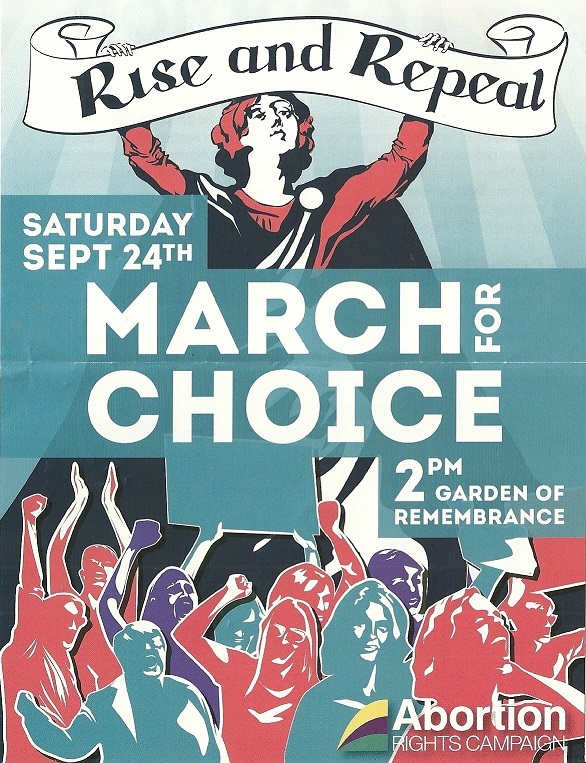 Going by the experience of the 1980s it was thought likely that the ‘pro-lifers’ would mobilise in the schools and use their connections to get anti-choice videos shown, guest lecturers from SPUC [Society for the Protection of Unborn Children] into classes etc. The SWM had a couple of contacts who were school students so we decided to draw up a leaflet specifically aimed at them, with the idea that where we had a contact they would distribute the leaflet inside their school and hopefully get some of their mates to do the same: and we would also leaflet some schools from outside. Many thanks to the CLR for use of the leaflet. This entry was posted in SWP, X Case and tagged 1992 Abortion Referendum, abortion, Pro Choice, SWP, Youth Defence on September 23, 2016 by irishelectionliterature. “Ugly Bus of Death” anti abortion flyer from 2015. This entry was posted in Unusual Pro Life and tagged abortion, pro life on September 22, 2016 by irishelectionliterature. 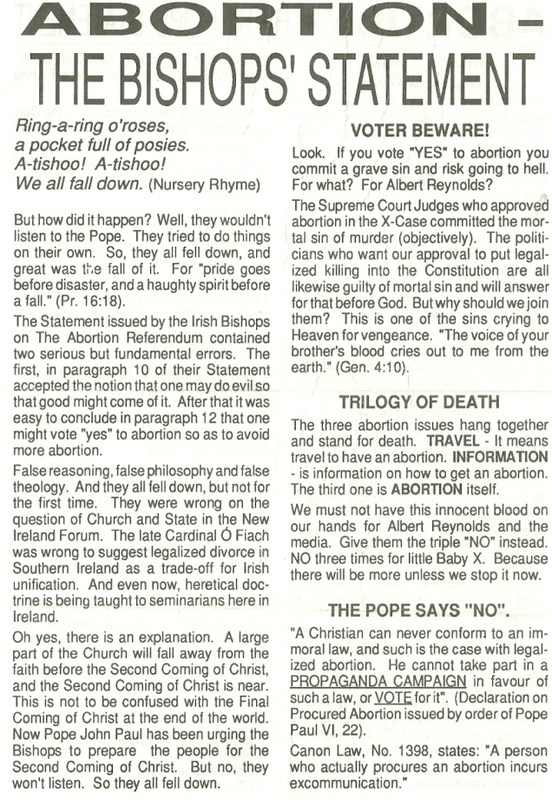 This entry was posted in 1992 Abortion Referendum and tagged 1992 Abortion Referendum, abortion on September 16, 2016 by irishelectionliterature. Two snippets here , the first from a 1981 Fianna Fail Canvassers guide and the second is part of Charles Haugheys message to the electorate in the November 1982 General Election. Abortion is not mentioned in his 1981 message or the one in February 1982.From the material I have, Abortion is not mentioned in the 1981, February 1982 or November 1982 Fine Gael or Labour Election leaflets. This entry was posted in 1983 Referendum, Fianna Fail and tagged 1983 Abortion Referendum, abortion, Fianna Fail on September 16, 2016 by irishelectionliterature. This entry was posted in Abortion Rights Campaign and tagged abortion, Abortion Rights Campaign, Pro Choice on September 16, 2016 by irishelectionliterature. 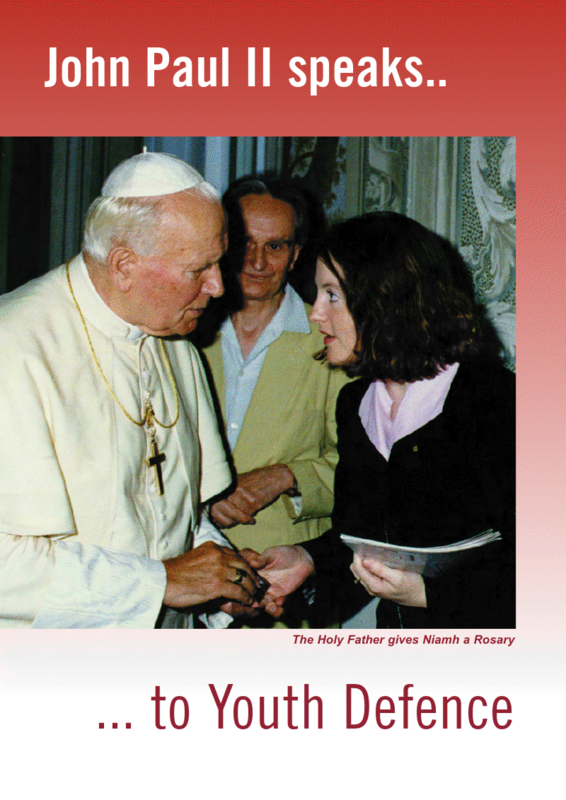 A 1995 Youth Defence Leaflet about two of their senior members Niamh Nic Mhathúna (now Niamh Uí Bhriain) and John Heaney meeting the Pope. This entry was posted in Youth Defence and tagged abortion, Pro Life Campaign, Youth Defence on September 15, 2016 by irishelectionliterature. 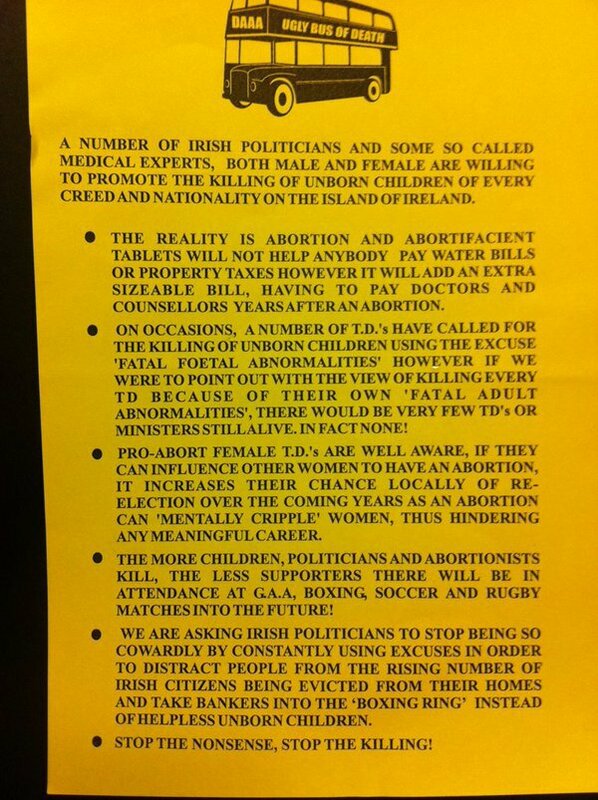 A Leaflet from a group called “Action on X” , ‘Women’s lives matter! 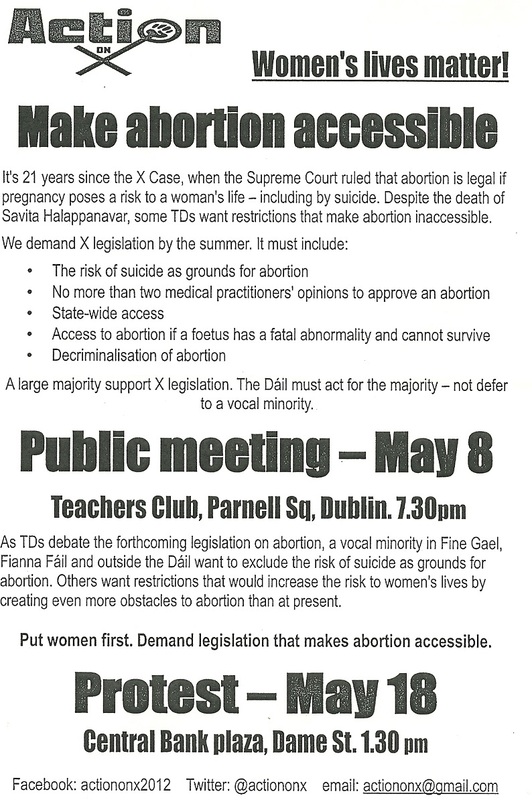 Make abortion accessible’ demanding X Case legislation and advertising a meeting on the 8th of May as well as a protest on the 18th of May 2013. This entry was posted in X Case and tagged abortion, action on X, Pro Choice on September 9, 2016 by irishelectionliterature.